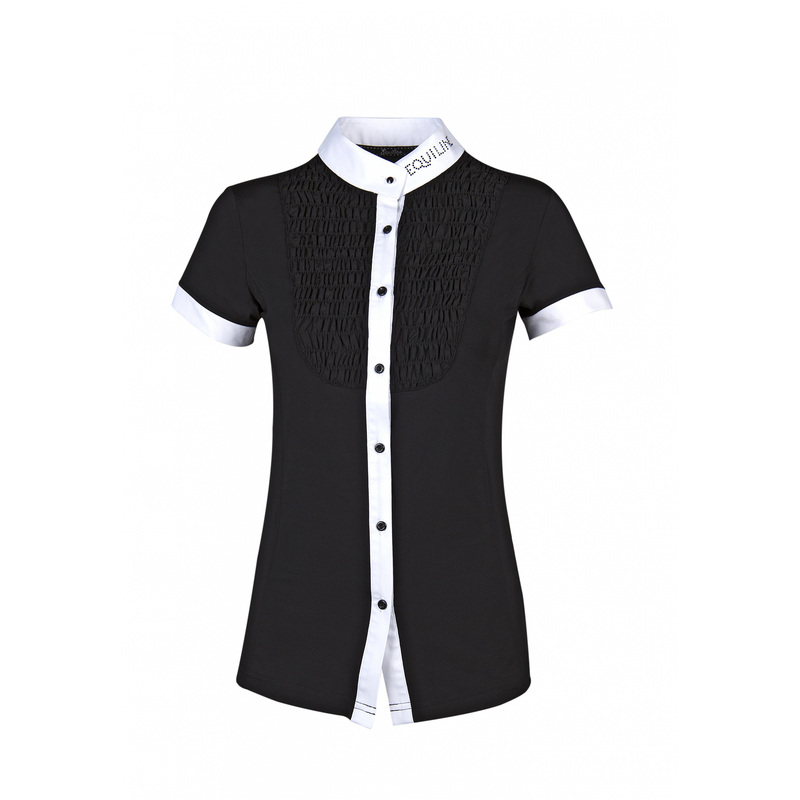 Elegant ladies' show shirt Becka. In dark version with contrasting white elements, such as the sleeves trimmings, stand-up collar and button strap. There is a crimpy material on the neck, which forms beautiful plastron. 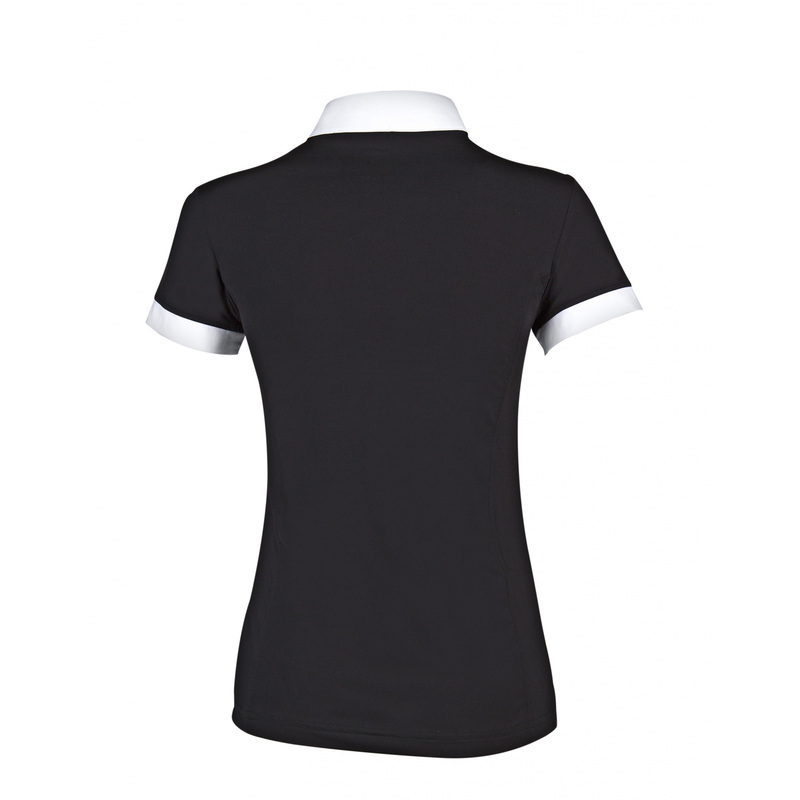 Elastic material of which the shirt is made provides additional comfort during start in competitions. An Equiline writing formed of small diamonds is on the side of the collar.